Easter is one of the most memorable holidays for children. They love the mystery of the Easter Bunny and the excitement of hunting for eggs. Some use plastic eggs and add special treats like small toys, candies, and even money. Kids even enjoy the process of dying real eggs. Easter can be a great time to spend with your kids in many ways. It can even be fun decorating your home for the holiday. Why only spend a week enjoying Easter when you can make a whole month of the holiday?! 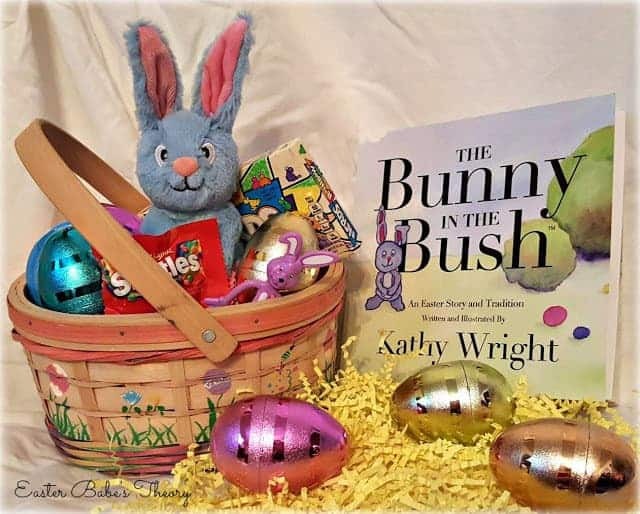 Meet The Bunny in the Bush! Has your child ever questioned you about where the Easter Bunny comes from? 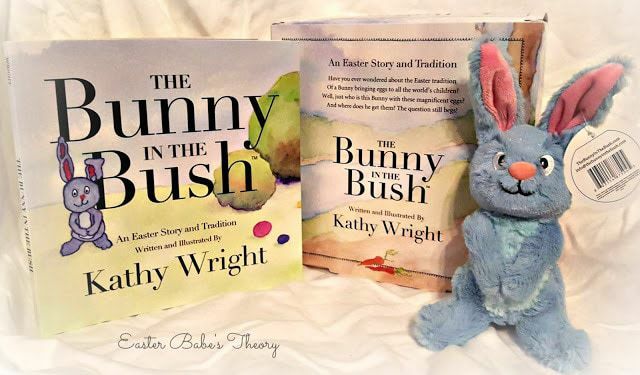 Well, The Bunny in the Bush book will help you to explain it easily. This fun book is colorfully illustrated and comes in an adorable box for safe keeping. 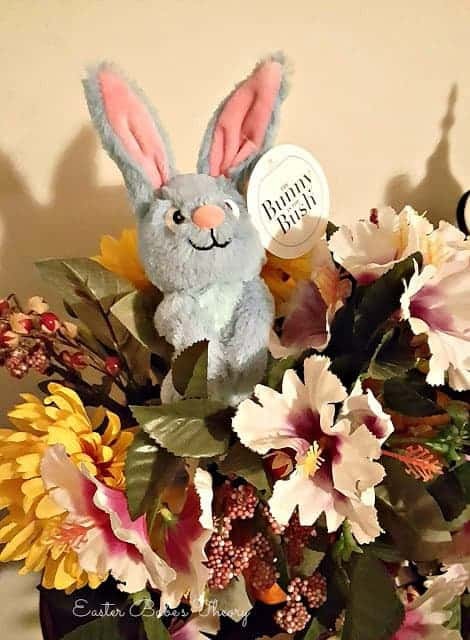 To make it even more excited for kids, an adorable soft plush bunny is also included. 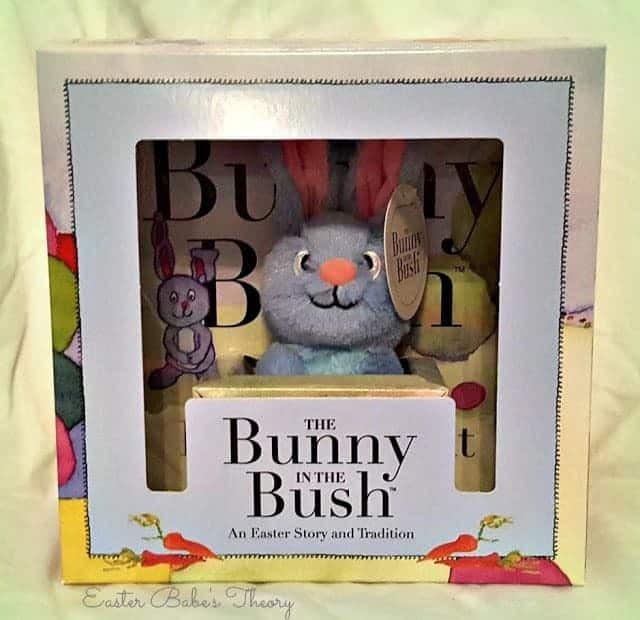 The Bunny in the Bush book is 8” x 8” x 4” and consists of 73 pages with three chapters. There are lots of illustrations throughout to keep children engaged with the story. Some of the words may be a little advanced for younger children to read themselves but this book is meant to be read by the parent to the child. I really like how the story rhymes throughout the book. The book allows you to introduce new vocabulary to your children along with teaching them everyday values. I want to point out that this book is not religious in anyway. 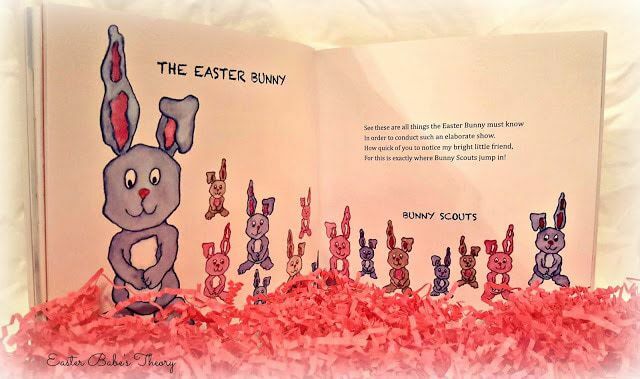 It starts with a simple story of how the Easter Bunny came about along with how the Bunny Scouts bring gifts the night before Easter. I don’t want to ruin this exciting story so I’ll mention a few of my favorite highlights. The story begins with a short introduction about animals which are very educational. Then it follows with the Easter Bunny providing batches of eggs, candies, and toys to his loved ones. The Easter Bunny was able to provide an abundant amount to friends, neighbors and their next of kin. The next year the Easter Bunny wanted to share his springtime feasts and spread the love to all little boys and girls across the world. Next spring, the Easter Bunny realized that he needed some help. He didn’t know where all the children lived nor did he know what he should give them. So the Easter Bunny turned to the Bunny Scouts for some help. This is where the adorable plush bunny comes into play. The Bunny Scouts come out a month before Easter and the fun starts to begin. This chapter teaches the children how to be kind and polite along with being happy and enjoying life. 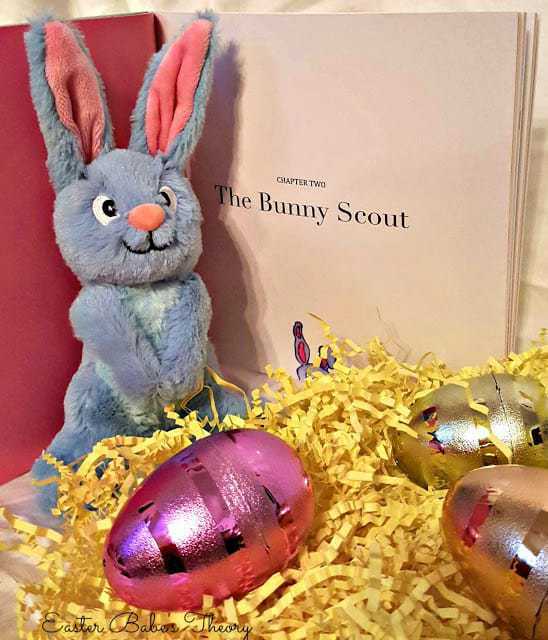 It shows the child that the Bunny Scout is watching him/her to see how they can spread joy to others with Random Acts of Kindness. To begin this fun family tradition, you simply place the Bunny Scout somewhere where the child can find it. There’s a page in this chapter that allows the child to write down the name that they choose for the Bunny Scout. The Bunny Scout watches the child during the day, quietly looking to see that they behave. Each night as the child sleeps, the Bunny Scout returns to the forest to report back to the Easter Bunny. You will know that the Bunny Scout reported back because the next day he will no longer be in the same place. The child will search for the Bunny Scout every day. He will have a small scrap of some sort which is later used to create a Nest the day before Easter. The child will collect these small pieces of scrap to make a cute little bed for the Easter Bunny. This will get the kids to be creative. The book also mentions leaving a few carrots in case the Easter Bunny gets hungry during his deliveries. Leaving a note for the Easter Bunny is another suggestion for the child. 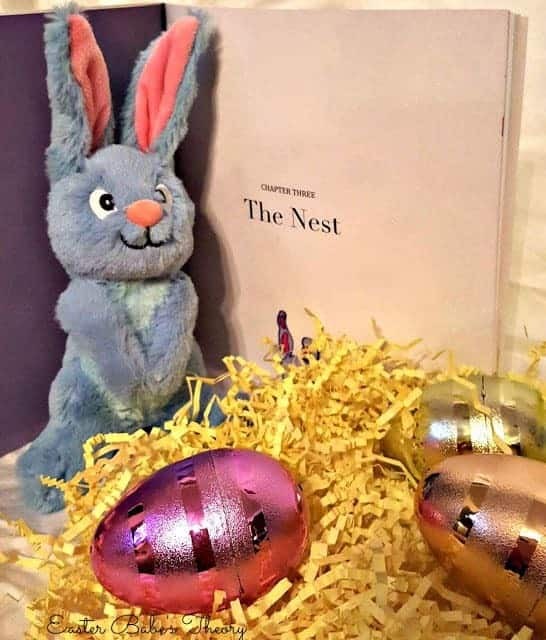 On Easter Sunday, the child will find that the Easter Bunny left behind some special treats like colorful eggs, candies, and toys. After Easter is over, it’s time for the bunnies to go home and get some rest. 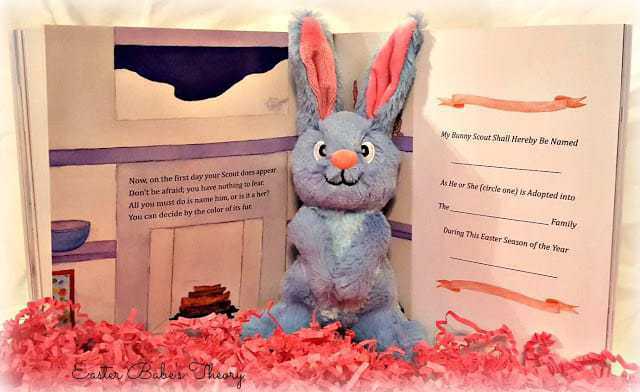 So pack up The Bunny in the Bush book and the Bunny Scout and save for next year’s Easter tradition! The Bunny in the Bush box set is fun and exciting for years to come. I love that it’s also educational and it can bring out the creative side in children and even the parents. Now Easter can last longer than just a week or weekend. It’s definitely something that kids will remember and hopefully they will pass down this tradition to their own kids later. For now, the Bunny Scout is only available in blue but I can’t wait to see the upcoming new colors soon. The search for the Bunny Scout everyday is a really great idea. Really like this. I love those bright and coloful eggs. They are so pretty. My favorite thing is that it is educational. The tip I learned was: Never allow eggs to be unrefrigerated for more than 2 hours. That looks adorable! I bet my daughter would LOVEE one! i like that every day the kids will search for the bunny! It's nice to introduce Easter to the kids with a book like this. I'm sure they'll love it. 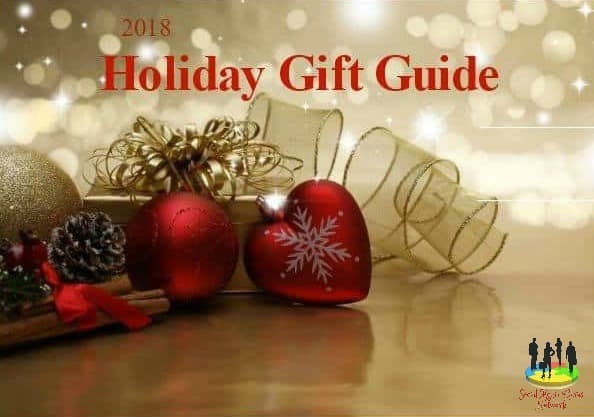 It's also a nice gift to the children in the family. I'm sure this book will be a hit with the children! It sounds like something that's fun to read. They'll learn a lot about Easter as well. this looks adorable! It is something my 4 year old would love for sure! This is too cute! What a fantastic giveaway! I think it's great the kids can help the bunny make a nest. This is so cute and awesome, love it, would be awesome for my 3 year old grand baby. I love that he doesn't look like the typical perfect rabbit. It gives him an extra special cuteness. This is so cute – it's like the Easter version of Elf on the Shelf! I'm betting my little one would totally love this. It's got the three best things…fun, it's interactive and educational. It really looks like fun for kids of a wide age range. Love the book and bunny. Love how the book set let's children's imaginations soar! I love that there's a chapter about being kind and polite!! So important!! What a fantastic giveaway! It's a wonderful was to start a tradition with young kids. It focuses on teaching everyday values. I have never heard about this book before. What a great idea to share with my grandsons. Thanks for the opportunity to enter. This is so cute. I love giving my grands books at Easter and I always go out for it! This looks like such a fun book and perfect for Easter!! That is just too cute. I'm sure my grand kids would love it if I win this great giveaway. How cute! I don't have kids, but this seems like a fun thing for Easter! Oh this a lovely idea for Easter gift! I love that it extends Easter!! Its such a fabulous holiday with an amazing reason to celebrate and rejoice! I like the stuffed bunny! This looks ADORABLE and like so much fun! My little is 3 but I think the concept of this book would be a great first chapter book for her! I great idea to get kids involved with Easter traditions. My niece would love it. It would be so much fun for my kids. They would love this and it helps with their creativity. I love that nw Easter can last longer than just a week or weekend. I need to dye eggs like that with my kids! I love that it's educational. I think that it is so cute! 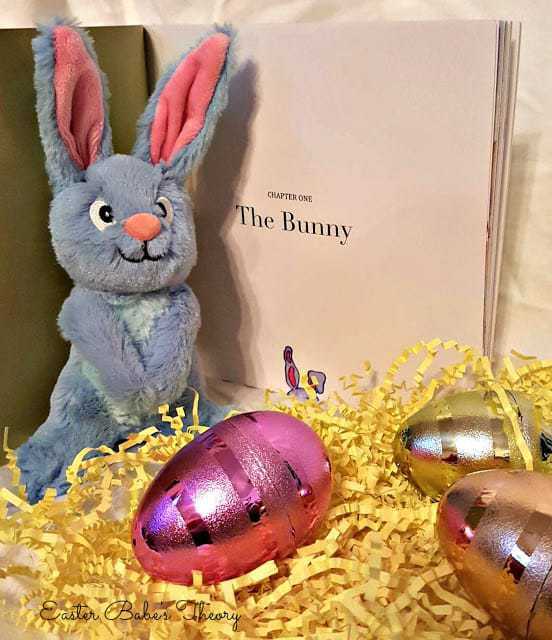 I think that it is cool that the bunny matches the book. Tip – Don't leave the eggs out too long. I love that not only is the bunny adorable, but he really does look just like the picture in the book! I love that the bunny has a fun book to go with it. What a beautiful Easter gift basket! The book looks amazing. 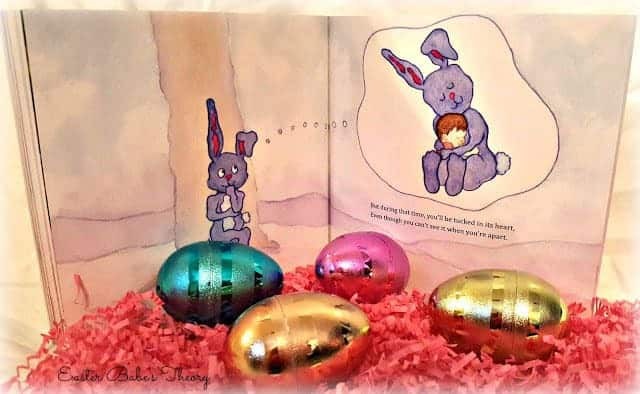 I love that there is a bunny to go along with the book! It makes reading so much more fun for children when there is props! I like the chapters on the Bunny Bush and you can put a child's name in the story. Looks like a cute book I need to read to my grandkiddo's! I love that you find a small scrap each time to create the next at the end!! I like the search for the bunny and those beautiful eggs. sounds like this is a book that will grow with the child. So cute..great way to interact with my little one!! I love the story and how it all goes together. My son would love this. I like that this teaches kids to be polite When my son was 5 he would open doors and hold them for ladies when we went shopping they loved it and thought he was so cute ! I love that it's not only fun, it's educational. I love that it is educational and fun! Thanks! I love the story it tells and the cute little bunny. I like how cute the stuffed animal bunny is. I love that it is also educational! I want my great niece to love books but I also want her to learn. Had I known about this book a month earlier, it would have bestowed upon many.